The owners of Ringling Bros and Barnum & Bailey Circus announced Saturday that they will close the 146-year-old show in May. Kenneth Feld, the chairman and CEO of Feld Entertainment, which owns the circus, said declining attendance combined with high operating costs are the reasons for closing. WHEN IS THE CIRCUS’ FINAL SHOW? Ringling Bros. has two touring circuses this season: “Circus Extreme” and “Out of This World.” The final show for “Circus Extreme” will be in Providence, Rhode Island, on May 7, and the other will close after a performance in Uniondale, New York, at the Nassau County Coliseum on May 21. 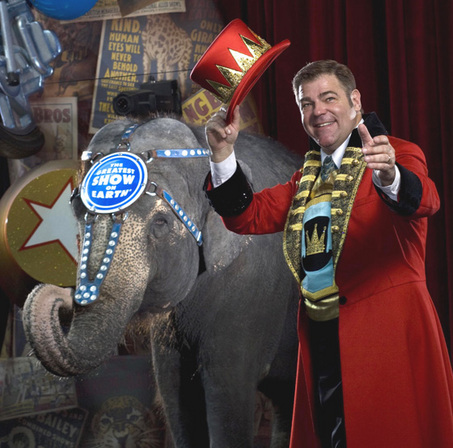 The Feld family has owned the circus for 49 years, and employs some 500 people for the show. Those employees were told about the closure on Saturday night, after shows in Orlando and Miami. A handful will be placed in positions with the company’s other shows — it owns Monster Jam, Disney on Ice and Marvel Live, among other things — but most will be out of a job. Chief Operating Officer Juliette Feld said the company will help employees with job placement and resumes. In some cases where a circus employee lives on the tour rail car (the circus travels by train), the company will also help with housing relocation. In May of 2016, Ringling retired all of its elephants to a property in central Florida. Forty elephants live at the Center for Elephant Conservation in Polk County. But the circus still has other animals, such as lions, tigers, camels, donkeys, alpacas, kangaroos and llamas. The Feld family hasn’t decided what it will do with the enormous warehouse filled with circus costumes and props. Kenneth Feld says the company will continue to work with the Circus Museum at The Ringling in Sarasota. That museum holds memorabilia dating to the 1800s, when John Ringling and his family founded Ringling Bros and Barnum and Bailey Circus.